I currently offer two WordPress training packages, and have a third on deck. 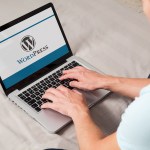 “How to Update your WordPress website” . Beginners learn how to update the content, add images, upload PDFs, create links to other websites, create lists, and the like. Advanced WordPress users learn how to create new menus, research and install plugins, switch themes, update permalinks, change the sidebars and footers, and the like. Learn more about Updating your WordPress content. 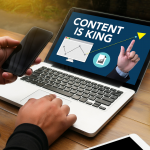 Learn where in your WordPress website you can add SEO, the order of importance of those places, helpful SEO checking tools, how to think SEO, how to write in your blog to optimize your SEO influence with the search engines. Learn more about the WordPress SEO training package. Controls are hidden until the cursor moves over an object on the screen. Maintenance controls and meta boxes normally found in the sidebar are hidden, and, both novice and experienced WordPress users will be presented with an unfamiliar Dashboard experience. This training is appropriate for WordPress bloggers and WordPress website maintainers.